It is no secret that Dwayne “The Rock” Johnson is a literally and figuratively a huge figure in the entertainment business right now. Having jumped off from his WWE fame as The Rock to a blockbuster movie star, he is now considered as one of the most powerful and influential celebrities in the world. What’s even better is Johnson has used his fame to inspire and motivate people be “the hardest worker in the room.” And he has channeled this belief into “the most insane athletic competition ever devised”: The Titan Games. 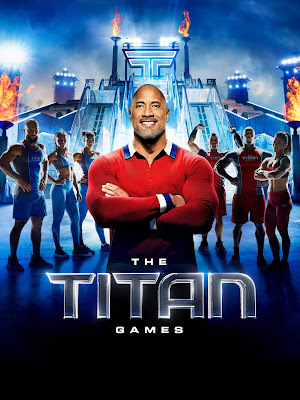 The Titan Games which is now available on video-streaming service FOX+, takes incredibly strong and muscled everyday men and women through challenges like hammering cement, scaling walls, and dragging an assortment of heavy objects. Contestants — or “Titans” as they are called in the competition — face off against each other one on one — women against women, men against men. The one who finishes first in the activities advances to compete against another winner in an obstacle course of Mount Olympus (yes, they go heavy on Greek mythology references in this show). The obstacles involve climbing up a steep incline of revolving cylinders, cranking weights, punching holes through wall. These challenges not only test the strength of the Titans, but their mind and will as well. However, the competition is not the most interesting aspect to the Titan games, it’s the Titans themselves. One look at all of them will tell you that they all work hard. But upon closer inspection, these competitors come from all walks of life such as an owner of a barbershop, teachers and students, nurses, doctors and surgeons, police officers, an accountant, firefighters, and even a grandmother. Despite all the pageantry of The Titan Games (there are a lot of explosions involved), at the heart of it are the tenets that Johnson preaches and practices in his life: strength, respect, hard work, perseverance, deep dedication, and self-actualization. In a world where life’s challenges can get you down, let The Rock and The Titans show you the way to greatness. Stream The Titan Games on FOX+ now. Download FOX+ from the App Store or Google Play Store. Visit foxplus.com for more information.